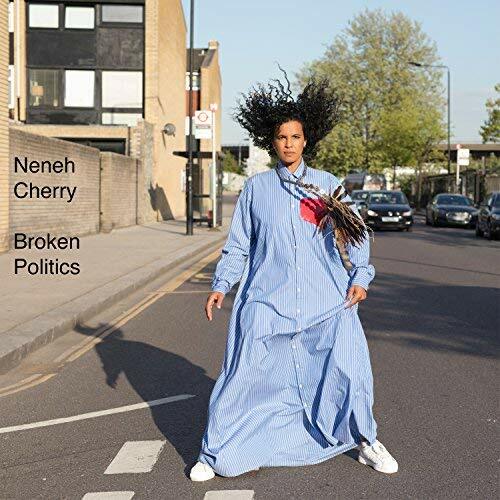 Neneh Cherry is arguably one of the more diverse artists making music today and for over three decades she has offered her own unique twist on pop. Since her debut album, Raw Like Sushi which was released in 1989, there have only been five solo albums, the latest being Broken Politics. Nearly impossible to pigeon hole her music Cherry’s approach to music has been incredibly varied, this making her a bit of a counter culture pop hero. With Kieran Hebden (aka Four Tet) working on this album as he did on her last album, 2014’s Blank Project, she tackles various dominate political issues such as abortion, the refugee crisis, gun control and the growth of fake news. The whole album feels like we are delving into her very personal thoughts on the world and how they directly affect her. Broken Politics comes complete with twelve tracks but it is not a standard listening experience. There are elements of hip hop, pop, jazz and electronica and Hebden does a good job of combining them all. Album opener Fallen Leaves see Cherry’s voice sounding better than ever as it dances around Hebden’s melodies. On Kong, a collaboration with Massive Attack’s 3D, with its trickling of a piano and a lovely string section, she sounds genuinely hurt and betrayed by the unfulfilled political promises to deal with the refuge crisis. Poem Daddy fits nicely in between darkly beautiful songs such as Synchronised Devotion; a hushed ballad with elegant pianos and the beautiful use of xylophones, and the smoothly atmospheric Deep Vein Thrombosis. Given the laid back pacing of the album, Natural Skin Deep is a welcome burst of energy with its steel drums, blaring air horns and an undeniably funky groove whilst Shot Gun Shack brings us right back to reality with its reference to gun culture and Black Monday glides along with a smattering of strings, bells and chimes. And what makes this album shine is Cherry’s voice which has always been powerful but on this album is captivating and allowed to soar freely. Broken Politics seems to have an experimental, boundary pushing style and may not engulf the average listener right away, but those who are open enough to give it a try, prepare to be hooked.